Beautiful photographs capturing the natural beauty of PEI are often posted on Facebook and Twitter. Birders on PEI are using social media to let each other know about sightings. Karen Mair tracked down two of the people behind them. Greg and Sandra Feetham are birders who live in Summerside. 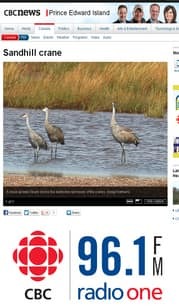 You can see pictures of the Sandhill Cranes on our webpage photo gallery cbc.ca/pei. 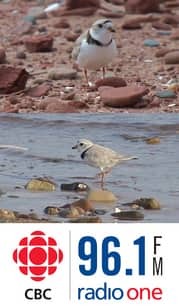 Strong winds, heavy rain and high tides have taken a toil on PEI's piping plover population. Right now, only 59 of the tiny shorebirds have been spotted on PEI. CBC's Brian Higgins spoke with Shannon Mader in North Rustico. She's program co-ordinator with Island Nature Trust.